Welcome to MEGA Harborland, the MEGA Family Playground Complex under the theme “Happy Farm”. Located at Mega Bangna shopping mall, this 8,000 square meters playground is ready to serve 8 different happiness zones to you. MEGA HarborLand is the large indoor playground that will bring joy and fun to everyone in the family with the highest safety standard and cleanliness in our mind. Driving School: Dreaming of driving is an all-time favorite for children. Lets them learn how to drive their first car simulating the real world. A gas station, highway, convenience store and car garage will be there waiting. At the end, super kids who pass the round will be handed an exclusive harbor driving license. Laser Battle, the ultimate laser tag experience imported from the world-class manufacturer “Zone Laser Tag” from Australia. With the latest technology, our laser tag beam is 5 times wider than normal. Battle field is ready in various mode from single to team. Join the battle today! bit.playground, an interactive playground combining your imagination with technology. Here, the whole family can enjoy 10 amazing stations together. At bit.playground, we can bring your imagination to life! JumpZ, an all-time favorite trampoline park and ninja warrior course. With highest safety standard, Jumpz play equipment was imported and installed by “SPI Global Play Sweden”. Here everyone can learn how to balance your body, train your muscle and getting a cool jumping technique from our professional trainer. Let’s JumpZ and sweat it out! RollerLand, the world class indoor roller skate rink is ready for super kids skating experience. Kids will be able to balance skating along with our professional trainer every day. Let’s roll! 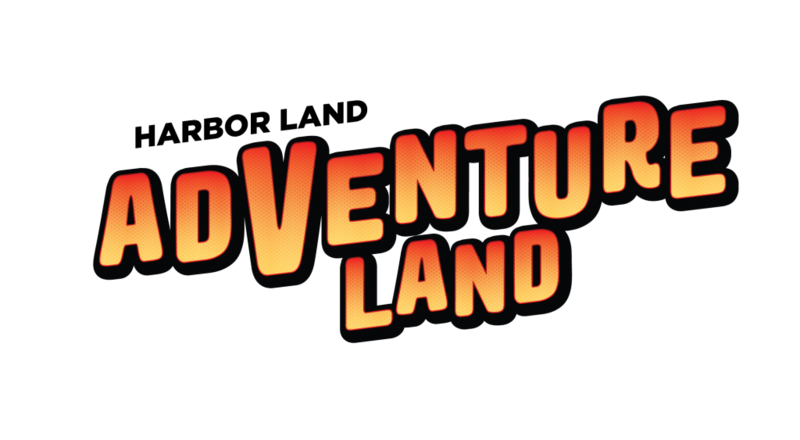 AdventureLand, an amazing rope course and rock-climbing adventure designed and installed by the experts. Here, kids can enjoy while zip-lining above various zones. Testing your strength with us at Adventureland!